started the first OSMRE/VISTA program – the Appalachian Coal Country Watershed Team (ACCWT) – to assist communities facing the environmental impacts of legacy mining in seven states across Appalachia’s Coal Country. Over the course of 14 years, more than 200 OSMRE/VISTAs served more than 140 organizations in capacity building projects as a part of the ACCWT and later the Appalachian Coal Country Team (ACCT). The ACCT and its local partners help propel a new Appalachian economy based on conservation, development, strong partnerships, and engaged citizens. Due to the success of the ACCT, the OSMRE/VISTA program was invited to expand in 2006. A second OSMRE/VISTA Team – the Western Hardrock Watershed Team (WHWT) – was formed to serve with community and watershed improvement groups to address the challenges that remain from historic mining in the hard rock west. 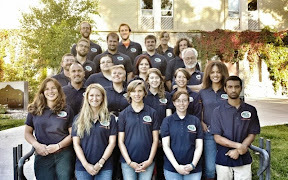 Together, the ACCT and WHWT form the OSMRE/VISTA Team. In 2013, the Department of the Interior invited the teams to expand again to include VISTAs serving in projects represented across all DOI Bureaus. Today, the VISTA Program, which includes the OSMRE/VISTA, OSMRE/AmeriCorps, and DOI/VISTA Teams, is among the largest VISTA teams in the country and the only national VISTA team in the U.S. with an environmental focus.